Wow you woodn't ;) believe 5 years wood go so quick! 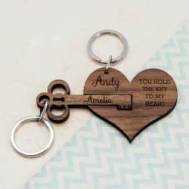 Sorry couldn't resist the wooden anniversary puns, probably because I am so excited to share with you all of our fantastic gifts made from wood that are available to buy in our Anniversary Gifts Store. 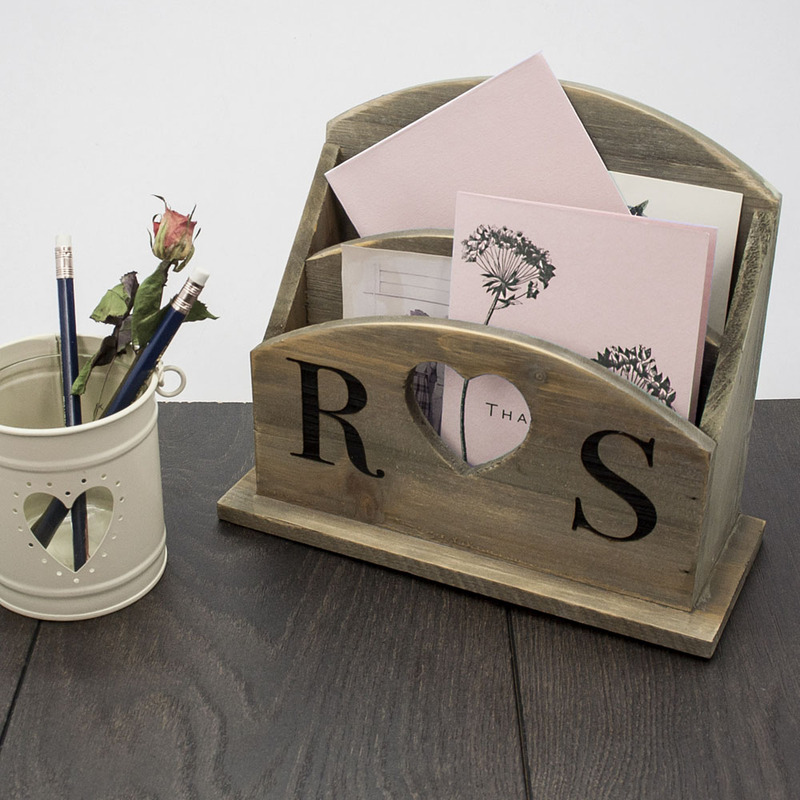 We have lots of beautiful anniversary gifts, crafted from wood that can be personalized with your own messages and love. 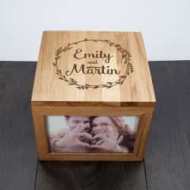 Have both of your names engraved onto a cute photo box and add your favorite photos of the two of you. 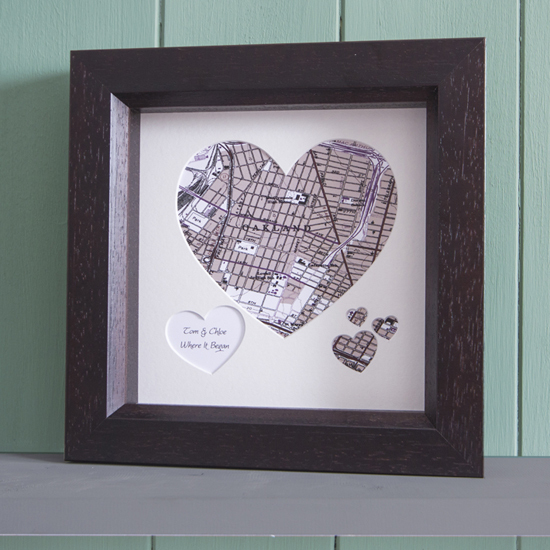 And remember where it all began with your own personalized framed map. 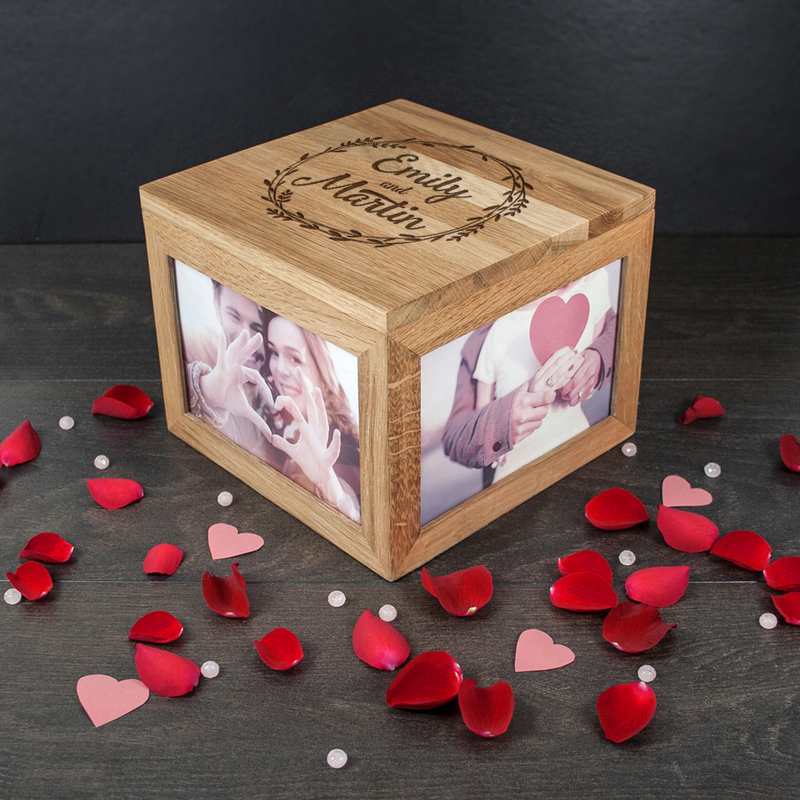 This personalized couple's photo box is engraved with your names and stores all of your keepsakes. Available to buy in store today. 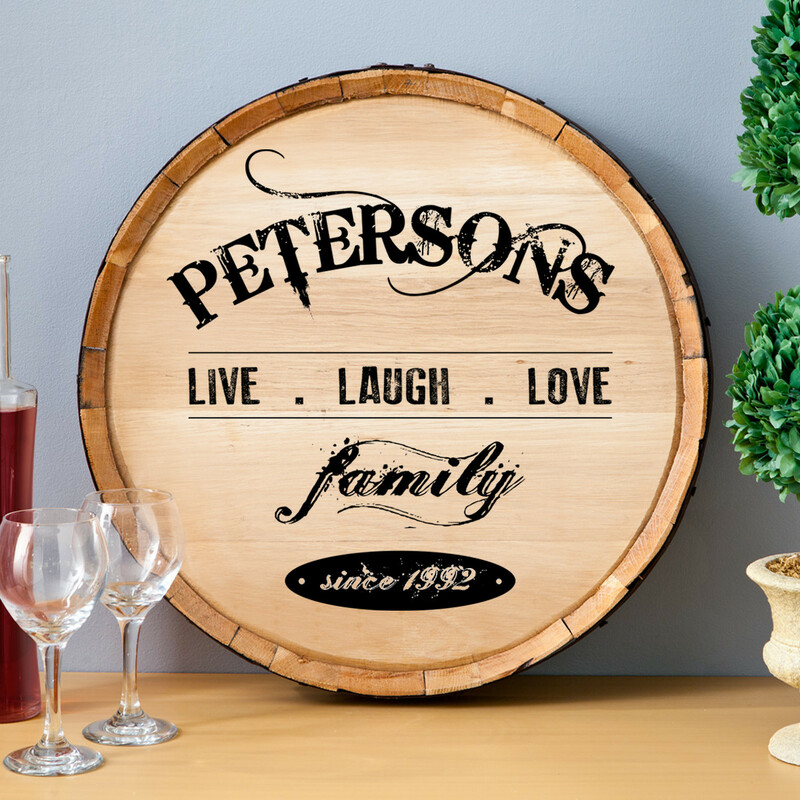 This fantastic personalized wine barrel lid would make a great gift. 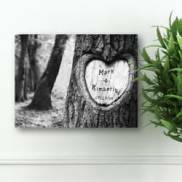 The motto of Live - Laugh - Love is perfect for an Anniversary and you can personalize it with your name and also your wedding year. Made from Oak barrels and measures roughly 20" - 22" and is 3" - 4" thick. 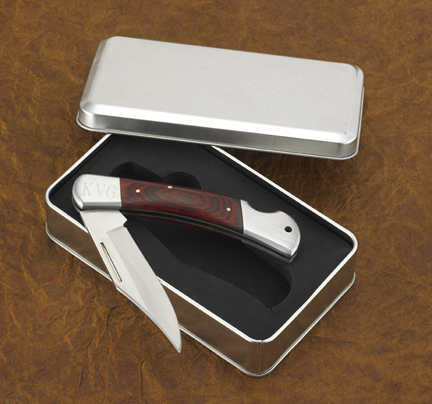 A great wooden anniversary gift to buy for your husband if he loves the outdoors, is this personalized wooden handled knife. 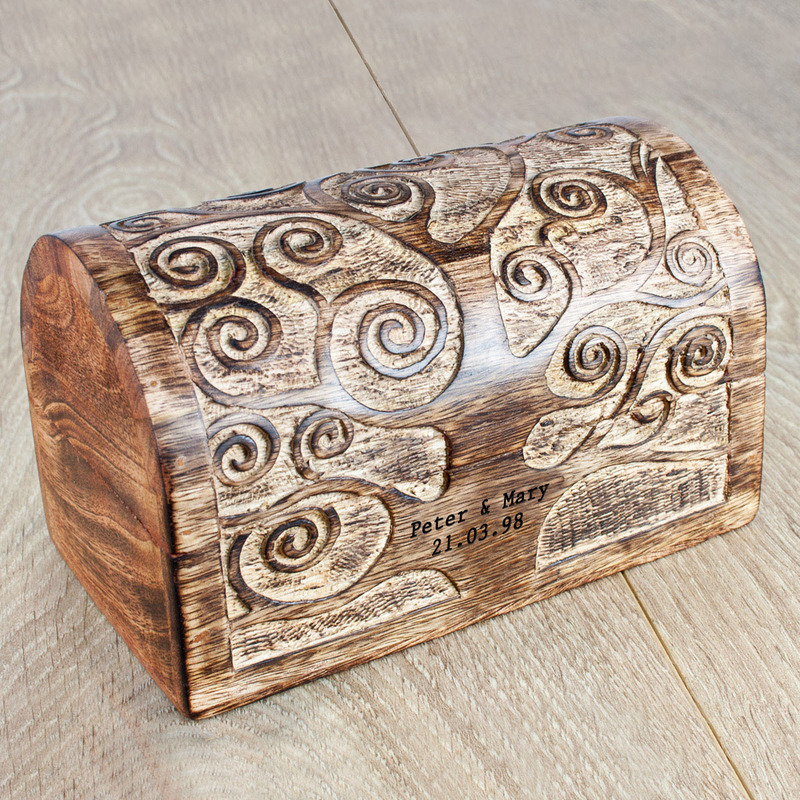 Engraved with your husband's initials and comes in a stylish gift tin. Knife measure 5" closed and 9" open. The perfect gift if they are a Whisky lover. 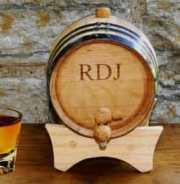 This oak barrel is a wonderful way for them to age their own whisky. You can have the barrel personalized with their initials. And is available to buy in our online store. 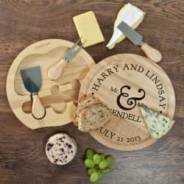 For the couple that love to serve it with love! Personalized wooden heart spoons with space for your very own Anniversary message. 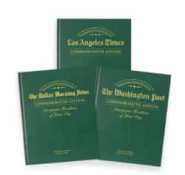 They are adorable and available to buy in our online store today. 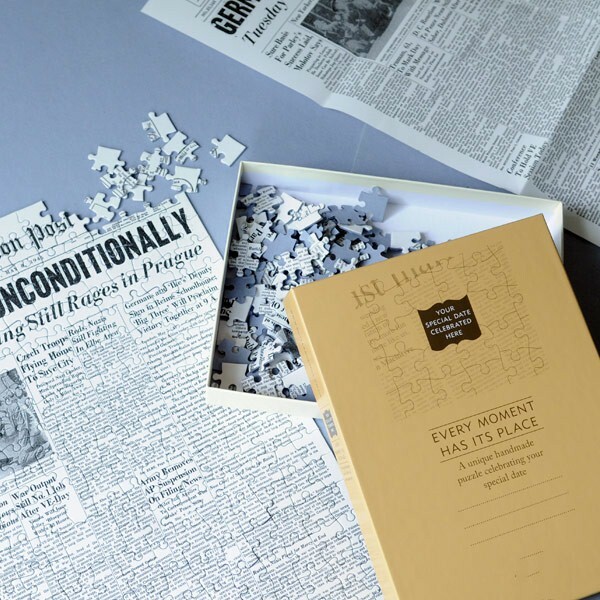 If they love to write then this is a wonderful gift and one that you know they will use every day. 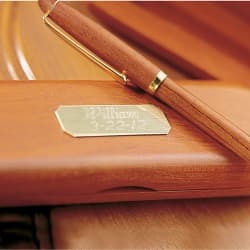 Their very own personalized Rosewood pen set. The brass disc on the matching Rosewood case can be engraved with your own Anniversary message. 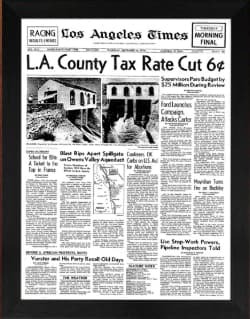 This has to be one of the most memorable Anniversary gifts and we have included it here as Newspaper was once a great tree. 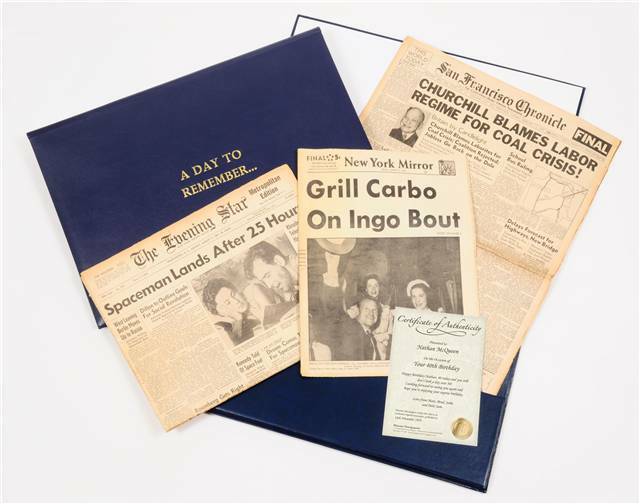 This fab Anniversary presentation pack is a reminder of your wedding day with one newspaper from that day and one newspaper from each of your birthdays. You can order this in our online store, where you will also find more details. If you are looking for wooden Anniversary jewelry then take a look at these gorgeous pieces available from Novica, which is our favorite store for great quality, hand-crafted jewelry.